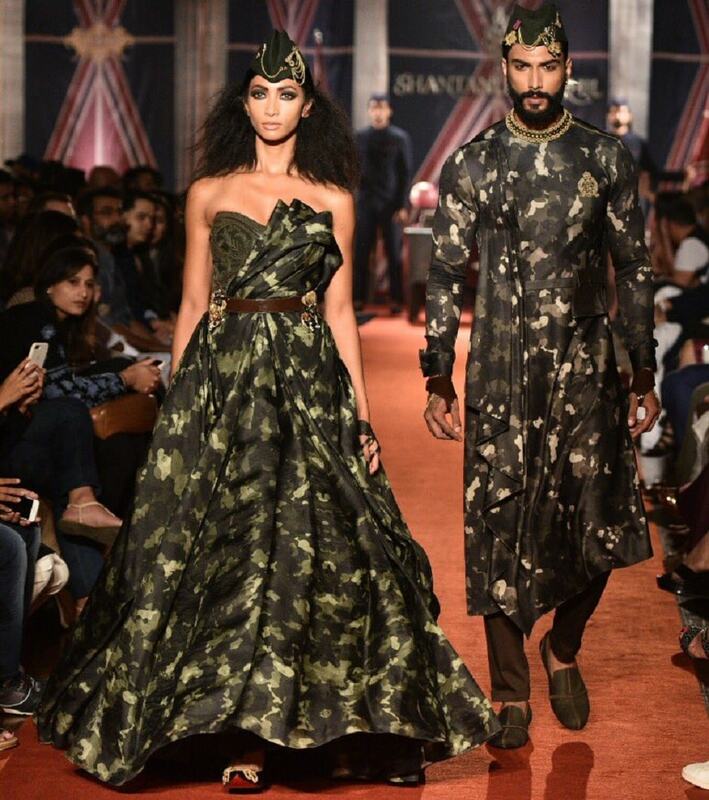 The collection is inspired by armed forces. 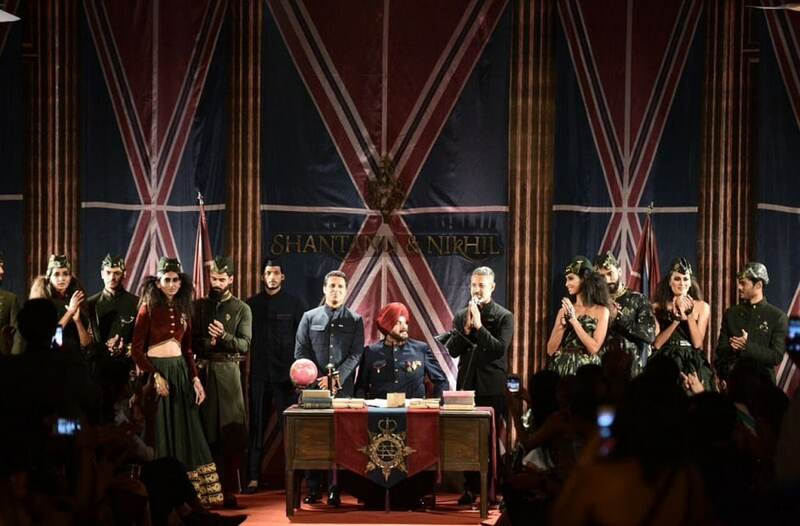 Images from Twitter/shantanunikhil. 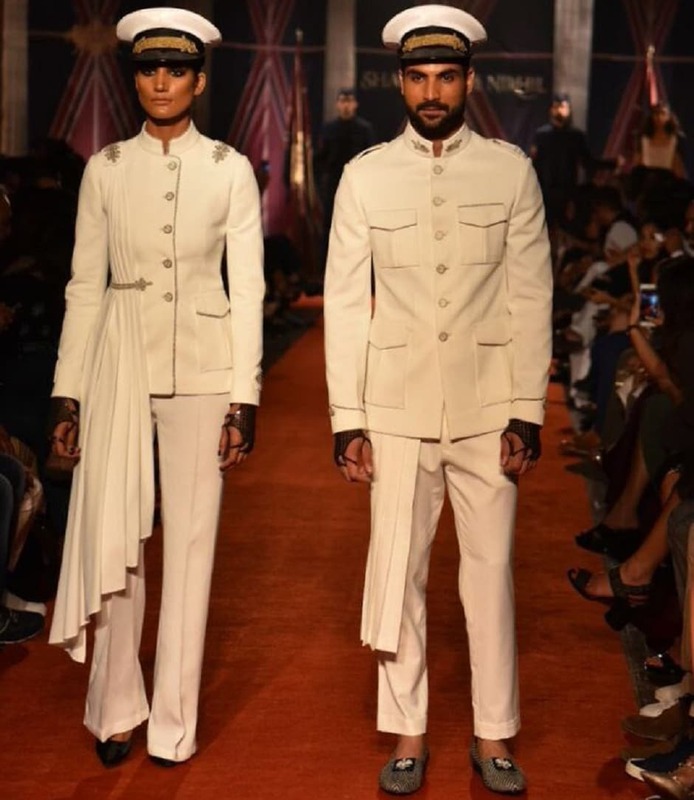 The clothes are inspired by the military. Therefore, there is a lot of green and blue. 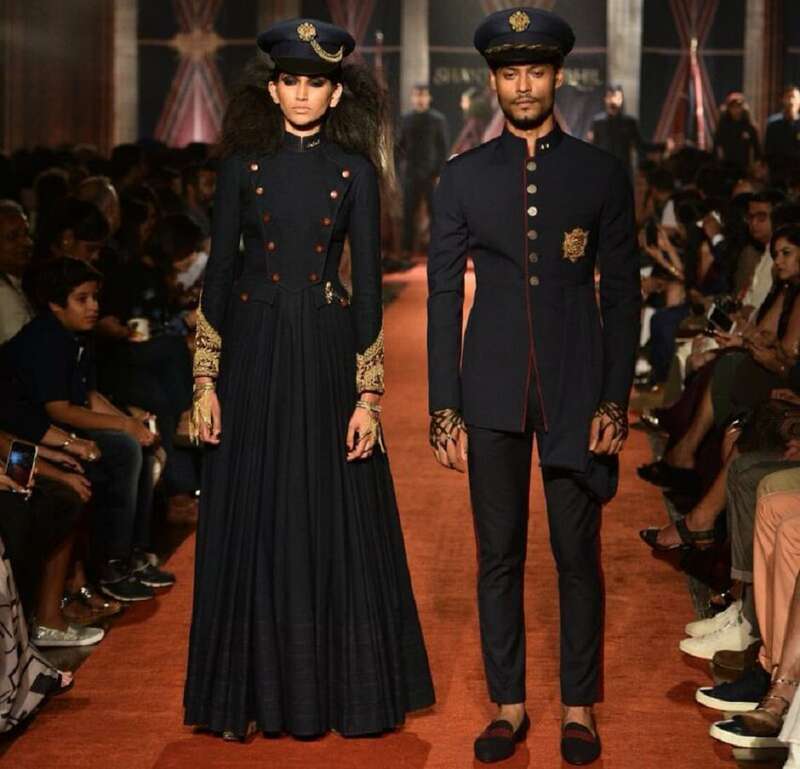 Image from Twitter/shantanunikhil. 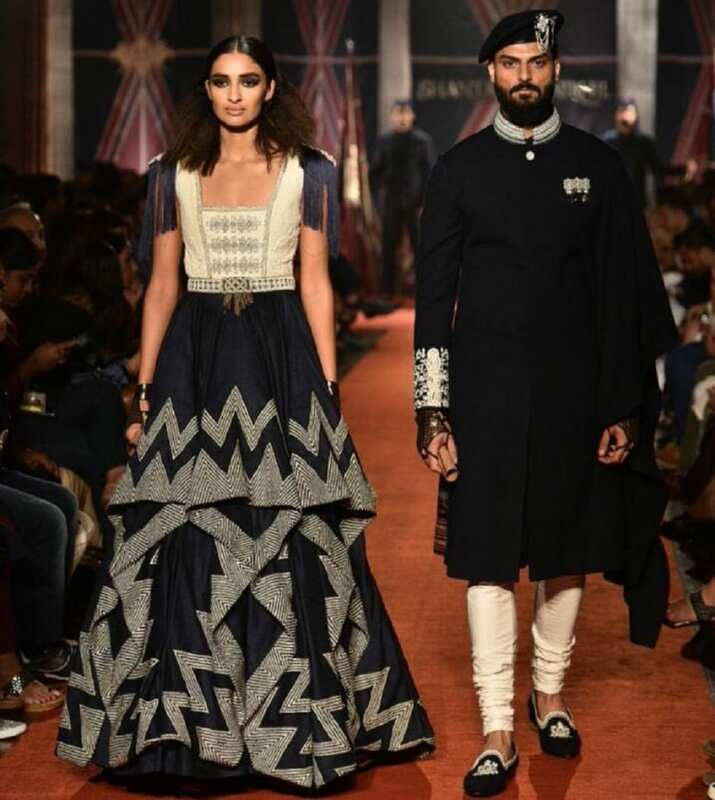 Models looked fiercely royal as they displayed the clothes with utmost elegance on the fashion runway. 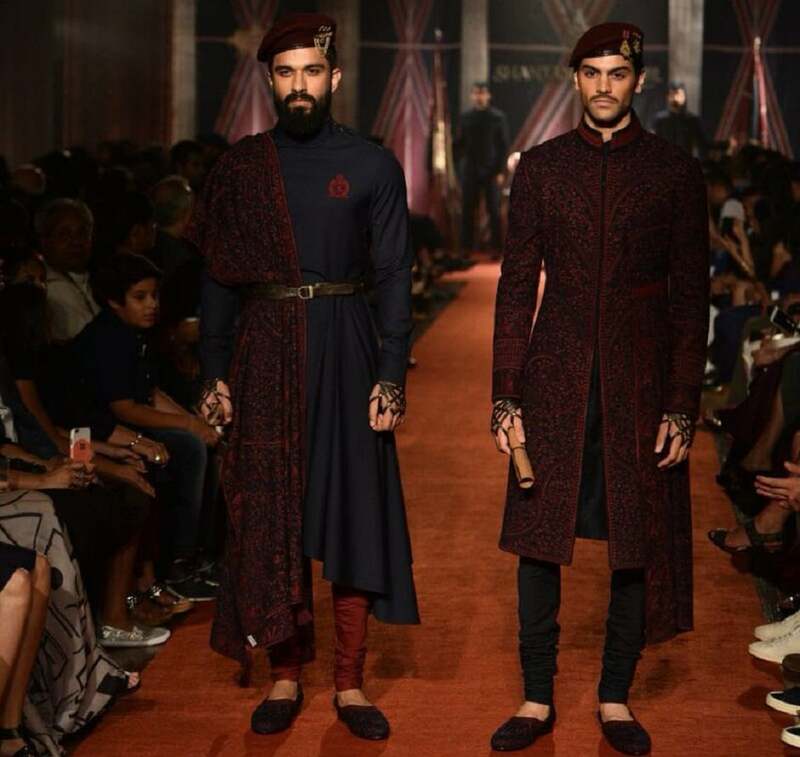 Image from Twitter/shantanunikhil.